Meik Wiking is the CEO of the world's only Happiness Research Institute in Copenhagen. His job is to travel around the world, seeking out the happiest people and uncovering what they do differently. 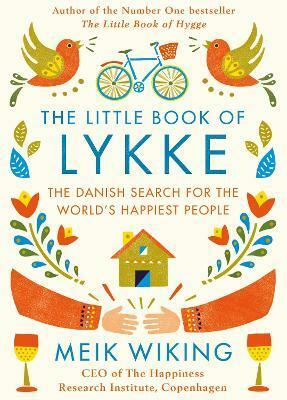 In The Little Book of Lykke, he reveals what he has found. This captivating read features case studies from Bhutan to Australia, South Korea to Canada, France to Denmark, taking the reader on a happiness treasure hunt. Written in the same warm tone as Meik's phenomenal bestseller The Little Book of Hygge, this easy-to-understand book will change the way you think about how you relate to your neighbours, the rituals around cooking and eating dinner, and when to book your next holiday - and is guaranteed to put a smile on your face.